The reasons why will long be debated, and I don’t intend to canvass them all, but some things seem clear. It was not because of major programmatic differences between the NDP and Liberals. On the contrary, their election platforms seemed very similar – and this allowed quite marginal factors or events during the long campaign to result in sudden and significant shifts in their respective electorates. Both parties promised to reverse some of the most egregious measures of the Harper era and each proposed new but generally modest social and legal reforms. They differed significantly on a few key issues; for example, the NDP committed to repealing Bill C-51 while the Liberals promised only to “repeal problematic elements.” But neither offered any real change in major features of the neoliberal regime such as the inter-imperialist military alliance structures, the trade and investment deals, or Canada’s dangerous dependency on petro-extractivism. Richard Fidler is an Ottawa member of the Socialist Project. This article first appeared on his blog Life on the Left . 1. 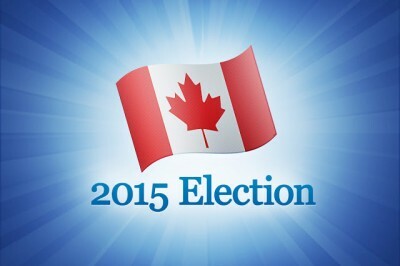 For the NDP platform, go here; for the Liberals’, here. 2. For example, both NDP and Liberals said they would reduce the age of eligibility for government pensions from 67 to 65 and boost benefits; implement the recommendations of the Truth and Reconciliation Commission on indigenous residential schools; call an inquiry into the cases of the missing and murdered indigenous women; restore the Court Challenges Program; repeal federal antilabour legislation (Bills C-377 and C-525); ease limits on family immigration; restore Canada Post home mail delivery; limit restrictions on eligibility for employment insurance benefits; end some restrictions on Parliamentary procedures; and end the combat missions in Iraq and Syria (although the Liberals want to train local forces in both countries and maintain Canada’s military intervention in Eastern Europe). 3. Most notably, the NDP promised to open one million new childcare spaces within eight years at $15 a day per child, modeled on the existing Quebec plan, while the Liberals offered simply to adjust the Harper government’s Child Care Benefit for individual parents. Both parties pledged to replace the FPTP system with some version of a mixed-member proportional representation electoral system. 4. These include the new Comprehensive Economic and Trade Agreement (CETA) with the European Union, the Trans-Pacific Partnership (TPP) – both of which have yet to be ratified by Parliament – and the North American Free Trade Agreement (NAFTA). 5. Incidentally, the NDP’s highest vote in Quebec on October 19 went to Ruth Ellen Brosseau, who achieved notoriety in 2011 when she was elected in Berthier-Maskinongé (between Montréal and Quebec City) without even setting foot in the riding and lacking fluency in French. Now fully bilingual, she won 42.2 per cent of the popular vote: 22,942 votes, while the Bloc candidate who held the riding before 2011 came second with 14,037 votes.